I had predicted December to be a low month and it would’ve been – only on December 31st I received a large affiliate payment that I wasn’t expecting for a couple more months. This payment boosted December up to my second highest month for the year! December was also a month where I didn’t work all that much. My girls were off of school for two and half weeks (they were supposed to go back last Thursday but our first big snowfall this winter postpone that.) When they were home I worked efficiently and spent the rest of the time with them. 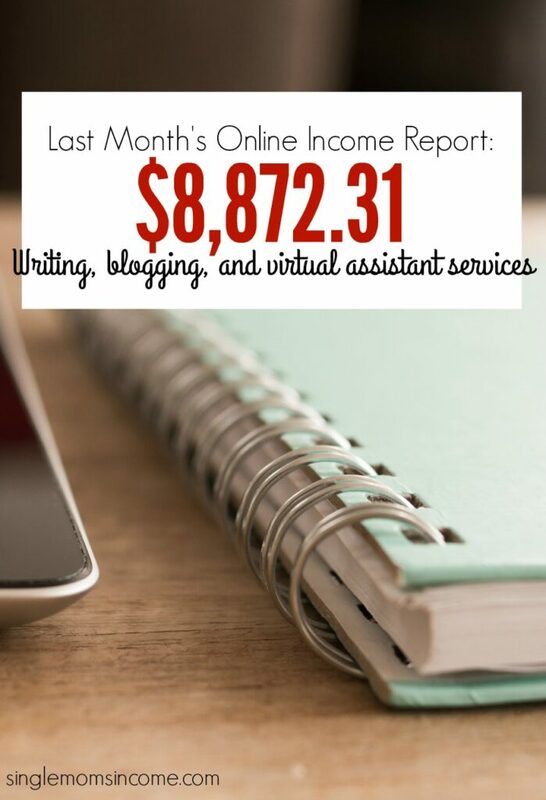 In December my total income came to $8,872.31. As a reminder the income in this report is that money that was actually received during month. It does not necessarily reflect the amount of work done in that particular month. If you’re confused about what any of this means you can see a breakdown here. I made a lot of changes at the end of 2015 which I carried over to the beginning of 2016. I started transitioning out of freelance work in 2015 and by April of 2016 was down to where I wanted it to be. I ended up keeping only the freelance work that fit into my life the way I wanted and that I enjoyed doing. 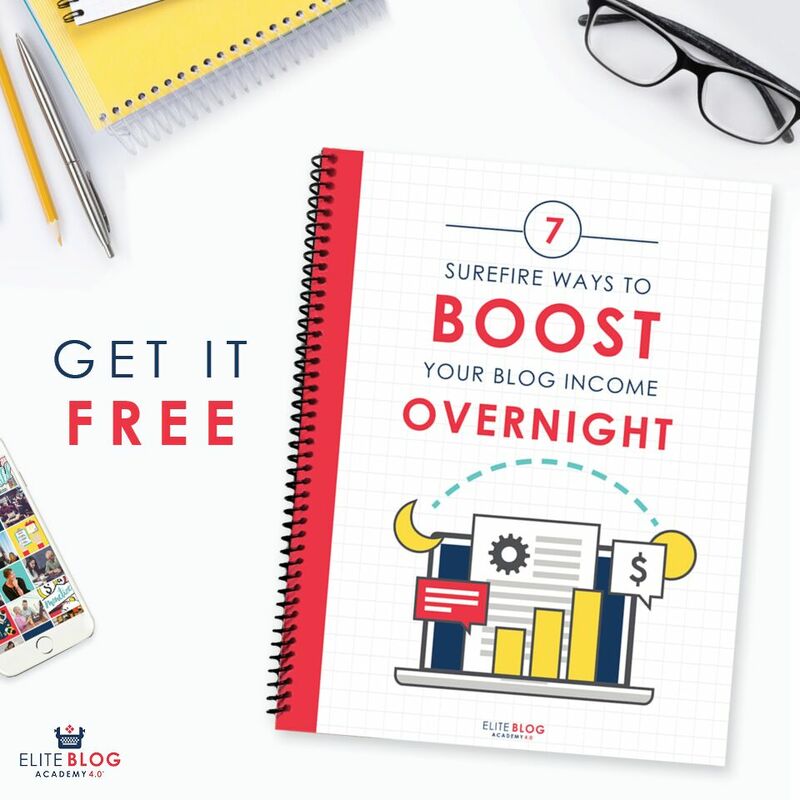 I figured that even if my blog income completely tanked I now have the skills to make money in a variety of ways online. If I ever need extra money I can pick up writing gigs, VA work or social media management jobs. The possibilities are endless! Despite getting my freelance work the way I wanted it I still felt some major blogging burnout in 2016. 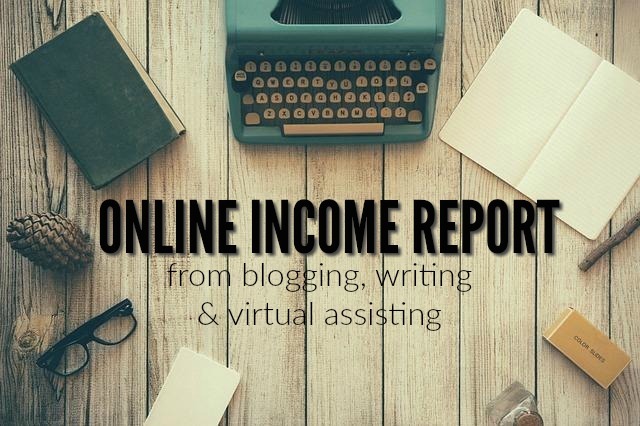 Even though I was earning a lot more I wasn’t enjoying blogging the way I used to. This year I want to go back to enjoying everything I do and so I’m pulling myself out of the box I’ve put myself into. I plan to share more personal stuff, experiment and just enjoy what I’m doing without placing any expectations on myself. I ended up earning over $20,000 more in 2016 than I did in 2015 which blows my mind. It’s crazy to think that not too long ago I was earning $20,000 in a year!! 2016 was good and I’m thankful for everything it brought. I’m looking forward to this year even more. Here’s to an amazing 2017 for ALL OF US!! Previous Post: « Work at Home Packing Jobs: Are They Real? I am just starting my own online adventure in 2017. Already have my domain, hosting and theme. I bit the bullet and decided to purchase EBA now. I felt it was wise to try and start off on the right foot from the beginning ( even though EBA was a big investment). Sounds like EBA ended up being a great investment for you too! It was a great investment! Especially since at the time I wasn’t earning much and since I also bit the bullet and paid for it I was determined to follow through with it. If you follow it you’ll definitely be starting out on the right foot! Congrats!! Alexa! Thanks for posting these each month – it definitely puts blogging into a perspective, the long term game but definitely worth it! Great start! This is really awesome. I’m just starting out and am a single mama as well. This really keeps me motivated. Wow, I hope to have the same results you do in four years. I just started my blog a few months ago and it’s nice to put my thought in writing. Hopefully one day it will earn some money. Alexa, I have NOOO idea where to start! But I need to do something, I’m drowning here!